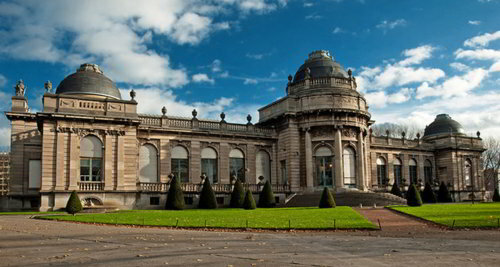 Belgium is a gorgeous country and Liege is a little part of this miracle! Though not very large, the city has everything for a tourist to enjoy every minute of his/her stay here. Apart from the majority of sights and landmarks, as well as museums, parks, and entertainment facilities, there are amazing shopping centers to buy some gifts for your close people before you get back to your hometown. At Marche de la Batte, you will be met with a diversity of bright colors and a unique ambiance around. There are different shops and restaurants you will enjoy exploring. However, if you love fashionable clothes and goods, you'd better head to Mediacite in Liege. All major fashion brands have their boutiques here. You are certain to find a wonderful souvenir or keepsake to remind you of the beautiful days spent here in Liege. 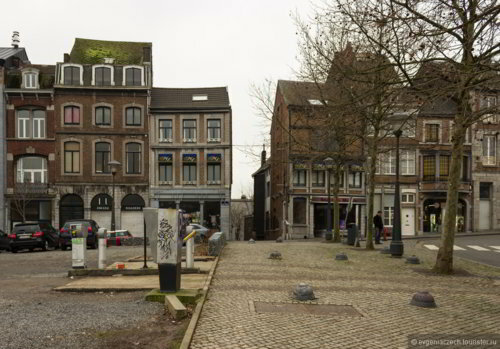 Not far from Brussels (an hour's drive), Liege is a popular tourist destination. The city is vibrant, welcoming and cozy at the same time. Most tourists prefer traveling here alone with the accompaniment of only their driver. And if you plan to explore this marvelous city on your own, be prepared to meet wonders! 8Rental is one of the most prominent and responsible cars hires with a driver services worth of your trust. We have served years in the sphere of passenger transportation in Europe and have managed to gain the deserved trust of thousands of clients across all major European cities. Rent a car with driver in Liege from 8Rental and experience yourself what it means to be transported royally! 8Rental is online 24/7 to accept your orders. Get a quote now and be sure your order will proceed immediately. You will make sure that you will adore this city! For booking a chauffeur driven car from 8Rental, it will take you only a couple of minutes. As far as you are here, get a quote and fill out all the necessary details. 8Rental needs such personal information of the client, as his/her name and surname, the telephone number and email address. You will be required to specify the journey and the transport details including the trip type, the start and time date, the pickup and drop off the address, as well as the vehicle type and model. In case you may have any additional requirements, let us know beforehand. Depending on the purpose of your arrival in Liege (whether on business or for pleasure), you are sure to find a suitable model and hire the chauffeur driven car in Liege. 8Rental has a large fleet of diverse vehicles in different price ranges. If you need something elegant, powerful but not flamboyant, you'd better select Toyota Camry, Ford Mondeo or any other model from the range of standard class cars. All these vehicles are in good condition and won't let you down in the middle of the road. In case you prefer driving in more luxurious cars, 8Rental is glad to present to your attention fabulous Audi A8, BMW 7 or Mercedes S class cars. Choose any of them for rent at the most profitable basis. We never overcharge. On the contrary, hiring a car from 8Rental you will be nicely surprised at the affordability of the charge requested. Moreover, we want to remind that the fuel and insurance are included in the offer just as all possible fees and taxes. 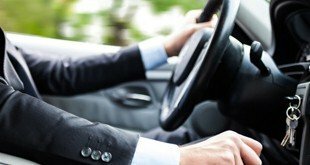 Do you consider yourself a good driver and don't rely on other drivers easily? Don't worry! Sitting in the saloon of the rented car that is driven by a highly skilled driver for just half an hour, you will realize how professional our chauffeurs are. All of them are licensed and have years of experience in the field of passenger transportation. They know their work well and won't disappoint you! Besides, even if you speak neither French nor German, we shall make sure that you and your driver understand each other. We can provide you with Russian, English, Italian speaking expert drivers. Just mention the language you need your chauffeur to master in the quote! Book a car with a driver with 8rental and let us take you on a city tour, which you will never forget and want to come back again!